Mike Resnick was born on March 5, 1942. He has won five Hugo Awards, a Nebula Award, the Seiun Award, a Xatafi-Cyberdark Award, two Prix Ozones, a Mechanical Peach, and three Ignotus Awards. In 2012 ISFiC Press published Win Some, Lose Some, a collection of his 29 Hugo nominated stories. That same year, Resnick was the Guest of Honor at Chicon 2000, that year’s Worldcon. He was awarded a Skylark Award by NESFA in 1995. 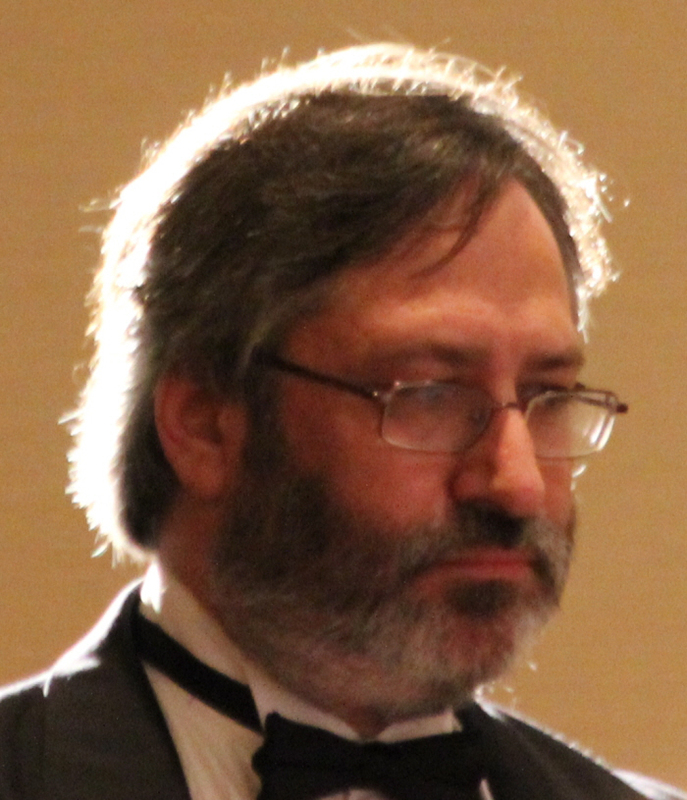 Resnick has published numerous novels in his loose Birthright Universe, including Ivory, Santiago, and the Oracle trilogy. In both his novels and his short stories he makes use of characters who are larger than life and his writing is often influenced by the pulps, adventure stories, and westerns. His Kirinyaga cycle, made up of ten short stories, is one of the most nominated short story series in science fiction. In addition to his own fiction, Resnick has served as the executive editor of Jim Baen’s Universe and as editor for Galaxy’s Edge magazine. Resnick has edited numerous anthologies and helped dozens of beginning authors with early sales and he has collaborated with authors ranging from Lezli Robyn to Jack McDevitt to Susan Shwartz to Nicholas A. DiChario. Many of his collaborations have been collected in With a Little Help from My Friends and With a Little More Help from My Friends. 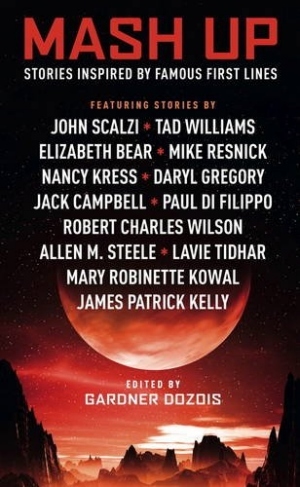 The story “The Evening Line” was written for Gardner Dozois’s audio anthology Rip-Off!, which asked various authors to write a story which took the first line from a famous work of fiction. Resnick adapted “It is a truth universally acknowledged that a single man in possession of a good fortune must by in want of a wife,” from Jane Austen’s Pride and Prejudice. The story was eventually reprinted in Mash Up, a retitling of the anthology when it saw print a couple years after the audio version. I would lay book that the story will eventually appear in a collection of all of Resnick’s Harry the Book stories, of which there are currently ten. “The Evening Line” is a one of a series of stories Resnick has written about Harry the Book, a pastiche of Damon Runyon set in a world where magic is at play. In this particular story, Plug Malone has hit it big at the races and when word gets out about his good fortune, he finds himself facing a huge number of fortune-hunting women looking for a husband. The story, both stylistically and in its depiction of men and women, is very much a throwback to the period in which Runyon was writing his Broadway stories. The story sets Malone’s desire not to get married against the various citizens of Broadway stating that as soon as he has money, women will want to marry him, turning the first line of Pride and Prejudice askew. In this case, the women who are eager to marry him for his money are assisted by mages who can make them more desirable, despite Malone’s reticence. Harry the Book, the narrator, spends his time figuring out the odds each woman has for successfully marrying Malone, based not only on her attractiveness, but also on the ability of the mage she has hired. As with many of Runyon’s stories, part of the humor from “The Evening Line” comes from the language and the over-inflated caricatures who make their way through the story, often as obvious homages to Runyon’s characters. 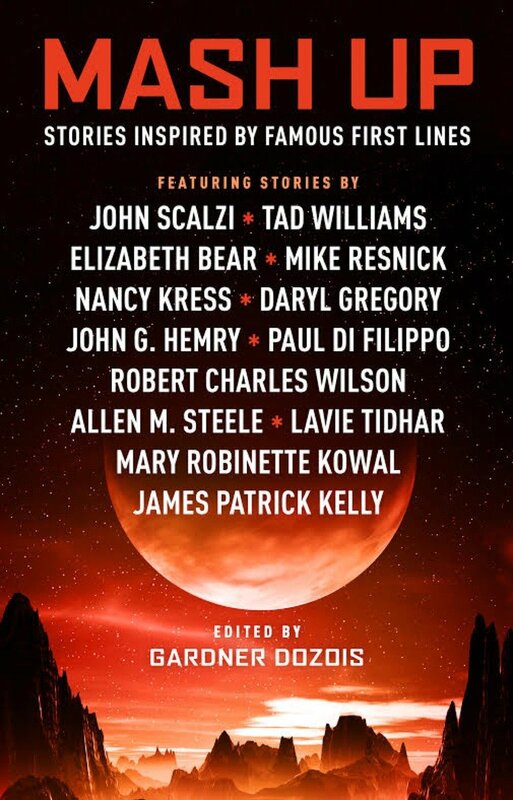 Reprint reviewed in the anthology Mash Up, edited by Gardner Dozois, Titan Books, 2016.